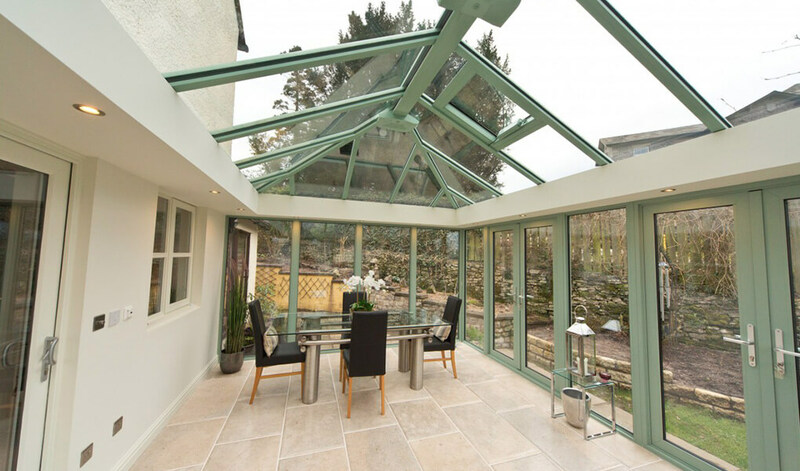 As opposed to having a flat face which is connected to the wall of a property, double hipped conservatories feature a pitched roof on both sides. This roof can be angled so it fits on height restricted properties, meaning a double hipped conservatory is one of the most adaptable conservatory styles available. As our double hipped conservatories are fitted with our high performing range of windows and doors, the levels of quality on offer are nothing short of exceptional. This quality extends to how the conservatories perform in terms of energy efficiency, security, durability and noise reduction, meaning they excel in each aspect. Incredibly versatile, they make a stylish addition to your home, whilst allowing in copious amounts of sunlight. You can enjoy unimpeded views of your garden too, thanks to large portions of glazing. The perfect garden room, customise the roofing, doors and windows to create a conservatory space that fulfils all of your aesthetic desires. With only the minimal amount of upkeep, they’ll continue to look fantastic for years to come. Having been fully tested for weather and draught resistance, you’ll be expertly protected from the elements. The framing, doors & windows on our double hipped conservatories is available in an extensive selection of high quality wood effect finishes and colours. Choose one that suits your unique personality or the colour scheme of your home, it really is up to you. Complete the look of your conservatory with our selection of roofing options. Decide on either the Supalite tiled roof, the Ultraroof tiled roof, a glass or lantern roof. Regardless of which you choose, you can expect to enjoy a distinctive number of excellent benefits. Here at T&K, we also install conservatories in a range of other styles. Choose from Edwardian, Victorian, Lean to and more, or we can create a bespoke variation.